The Israel & Masorti Committee oversee Israel education and programming. This past year the committee worked to get out the vote for the World Zionist Congress elections supporting the Mercaz party. Adath continues its relationship with Rabbi Dikla Druckmans's congregation, Magen Avraham in Omer. Our congregants and the Israel Committee generously supported Magen Avraham’s capital campaign to build an additional bomb shelter. Last October, members from both congregations visited Poland together. New York, NY, January 8, 2019 - The Masorti Foundation for Conservative Judaism in Israel is proud to announce the election of Heidi Schneider as its incoming Chair of the Board effective January 1, 2019. To her 25+ years of work on behalf of Masorti/Conservative Judaism here and in Israel, Ms. Schneider brings the passion of someone who has chosen Judaism. 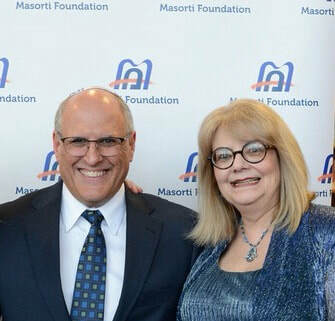 The pursuit of an egalitarian, pluralistic, and welcoming Israel has been central to Ms. Schneider’s life and to her work as past president of her congregation, Adath Jeshurun in Minneapolis, as a lay leader of the Overseas Committee of the Minneapolis Jewish Federation, and as a Trustee of the Masorti Foundation. In all these roles she has been an inspiring community leader and teacher. Support for the rights of the disabled to fully participate in Jewish practice; starting with Bar and Bat Mitzvah ceremonies. Do you believe that it is important for Israel to be a home for all Jews? A democratic, open, pluralistic society where religious freedom is guaranteed? The Historic Kotel (Western Wall) agreement, signed in January and approved by the Israeli Government, has yet to be implemented. Without our help, it may never move forward. To read the information letter, click HERE. For a sample letter to send, click HERE. I urge you to contact Prime Minister Netanyahu today about the Kotel. The agreement to create a beautiful and easily accessible egalitarian worship space at the Kotel which was entered into by the Prime Minister in January has yet to be implemented, and in fact, appears to be unraveling. This is not only about the Kotel. It is a poignant symbol of the ongoing lack of respect Conservative and Reform Jews receive from the Israeli government. We need to support our colleagues in Israel. And we need to stand up for our movement. We too are Jews, and we deserve recognition. Please feel free to copy my letter below to send to the Prime Minister. Time is of the essence. He is considering his options on the Kotel right now. Please fulfill your promise regarding the Kotel agreement. If Israel calls itself a Jewish State, it must be a state for all the Jewish people. You gave us such hope in your speech to the General Assembly in November, with your commitment to greater inclusion of American Jewish values in Israel. We are proud Zionists. Please don’t let us down. A historic compromise that redefines the relationship between religion and state in Israel has been reached! After 25 years of fraught negotiations, for the first time in the history of the State of Israel, non-orthodox Judaism has achieved formal status in our holiest of places - the Kotel. Finally, there will be one Kotel: Walking through one common entrance, visitors will be able to choose which part of the Kotel they would like to pray or visit - the Northern Plaza of the Western Wall which respects Orthodox custom, or the Southern Plaza that respects the egalitarian traditions of both Conservative and Reform Judaism. The two plazas, north and south, will provide Torah scrolls, siddurim, tables for Torah reading and everything necessary for every man and woman to pray as they see fit. Every month, Women of the Wall will be able to pray, undisturbed in the Southern Plaza. "The customs of this site will be based on principles of pluralism and gender equality, and prayer at this site will be egalitarian and un-segregated, women and men together, without a partition." From today, every solution to every dispute must give expression to the simple, basic and natural fact that there is more than one way to be Jewish. While we did not achieve everything that we wanted, this day is a day of celebration for Jewish pluralism in Israel - for Conversion, Marriage and Kashrut. This historic compromise represents so many achievements. The egalitarian plaza will have several large and extensive levels. Spreading out over an expanse that will include a raised prayer plaza (constructed) and all of the Herodian Street area, the entire prayer plaza will stand at almost 900 square meters (for means of comparison, the area is about 70% as large as the present men's section at the Western Wall and 130% larger than the present women's section). A Public Council, to be appointed by the Prime Minister, will be headed by the Chairperson of the Jewish Agency and six representatives (two from each) from the Conservative Movement, the Reform Movement and Women of the Wall, alongside six professional representatives from the Prime Minister's office and various Ministries, as well as the Israel Antiquities Authority. This is the first Statutory Council in which representatives of the Conservative and Reform Movements in Israel, by definition, will have been officially appointed to participate. The Conservative Movement in Israel is filled with pride because it was back in the year 2000, that we were the first to adopt the compromise resolution of Robinson's Arch. 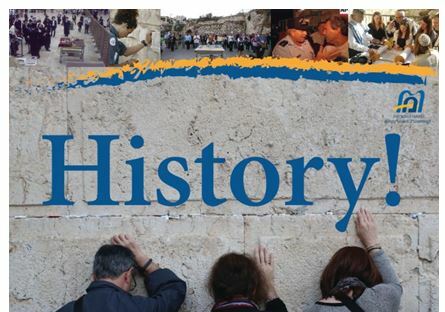 Since then, hundreds of thousands of Israelis, Conservative Jews and others from around the world were weclomed to the site to pray and to celebrate bnei mitzvah, and other special occasions. Throughout that time, the Masorti Movement maintained regular prayer at the site, and absorbed all of the expenses, including the provision of Torah scrolls. We are proud that we were able to provide this service throughout this long transition period, and are very pleased to pass this heavy financial burden onto the shoulders of the Israeli government, as should have occurred long ago. Thanks to this agreement, the Prime Minister's office will assign a permanent annual budget for the site's management, maintenance, marketing and religious services that will be provided to the public at-large. Our thank you list is long and it demonstrates the complexity of this accomplishment and so we wish to publicly acknowledge herewith, The Prime Minister of the State of Israel, Mr. Benjamin Netanyahu who promised "One Wall for One People" and stood behind his promise; to Yitzhak ("Bougie") Herzog who during the time that he served as Cabinet Secretary, designed and implemented the compromise of Robinson's Arch for the first time; to Zvi Hauser, the previous Cabinet Secretary, that prepared the foundation of the Resolution on which it stands today; to Naftali Bennet, who during the time that he served as Minister of Jerusalem and Diaspora Affairs, established "Ezrat Yisrael" - the temporary prayer plaza at Robinson's Arch; to Natan Sharansky, Chairperson of the Jewish Agency, who accompanied these negotiations with determination and deep wisdom; to Jerry Silverman and Becky Caspi, from the Jewish Federations of North America; to Rabbi Julie Schonfeld, Executive Vice President of the Rabbinical Assembly; to Rabbi Steve Wernick, Executive Director of the North American Conservative Movement; to Rabbi Rick Jacobs, Head of the Reform Movement; to Rabbi Sandra Kochmann, Masorti Kotel Coordinator, and to my close friends over the long years of negotiation - Rabbi Gilad Kariv, Executive Director of the Reform Movement in Israel, Anat Hoffman, Batya Kalish and Lesley Sachs from Women of the Wall, Rabbi Andy Sacks, Director of Masorti's Rabbinical Assembly in Israel; to the senior assistants of the Cabinet Secretary, Dr. Gil Limon and Ronen Peretz, Adv. ;, and of course to the Cabinet Secretary himself, Dr. Avichai Mandelblit, who in the perseverance of a lawmaker, חרדת קודש של תלמיד חכם ואורך רוח של איש מידות, accompanied the formation of this resolution up until his last day in office, bringing an end to this dispute, in conjunction with widespread agreement and mutual respect. And an extra thank you that is not to be taken for granted, to the Rabbi of the Western Wall, Rabbi Shmuel Rabinovitch. We never actually met face to face. We never shook hands. Negotiations took place through a messenger. Who but us knows that, just like us, you attained quite a few achievements in the finalization of this resolution? And yet, despite this, you were forced, just as we were, to concede many important issues as well. We wish us all good relations as neighbors, peace, and even, maybe friendship. Lastly, we wish to thank our supporters in North America, who encouraged us, donated sifrei Torah and with their financial help facilitated the provision of these important services for the past 16 years. Todah Rabah!